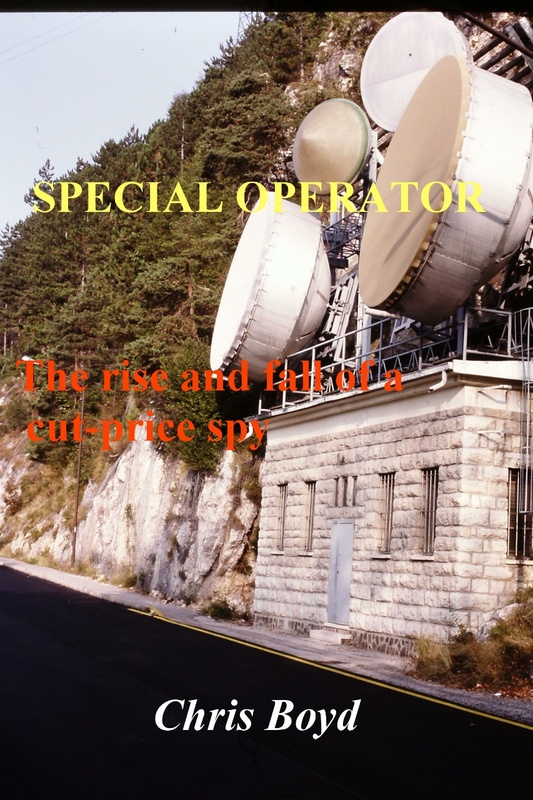 Eighteen years of electronic spying around the world - one man’s sometimes serious, sometimes light hearted view of ‘The Game’ commencing with his 1950s recruitment into the little known Y Service. The action leads us first of all to Hong Kong there to intercept the radio communications of Chinese Communist military units. Such covert employment was not all work and no play and details of some ‘off duty’ time enjoying the sights, sounds and other nefarious delights to be experienced in the Colony are touched upon. A complete change of climate takes the author and two colleagues to Berlin, during the Cold War the spy capital of the world. Once in situ they were to search the ether and report on Soviet and other eastern Bloc Diplomatic and Illegal radio transmissions. The procedures used by Soviet agents were different from the norm of radio traffic and for interest are described in detail. A brief encounter in a bar specifically for the use of the intelligence community in Berlin with one of, if not the most famous, spy of the 20th Century gives another insight into that twilight, secret world. After a most interesting and revealing two and a half years in Berlin the scene changes yet again to the Southern Hemisphere, this time on assignment to the Australian Defence Signals Bureau in Melbourne. Here the author was employed as an analyst of intercepted signals traffic supplied by a 'Third Party' on the island of Taiwan. The final overseas tour was to last four years, a full eighteen months longer than a normal overseas tour of duty in the RAF. This took place during 'Confrontation', the 1963 – 1966 so-called undeclared war between Indonesia and the newly formed state of Malaysia. Operational details of a mobile unit specially formed to cover this conflict and staffed by a number of Special Operators/Indonesian linguists are explained in some depth. Much of the time was spent living under canvas on the Malay Peninsular, in Borneo and in the New Territories of Hong Kong where Special Operators with a Chinese Language qualification were also employed. On returning to the UK in 1968 the author had the misfortune to find that he had a so far undetected Soviet Spy as a colleague. This traitor was subsequently unmasked, charged, tried and sentenced at the Old Bailey to 21 years in prison. As a result of this episode the author, who had been the line manager of this Spy suffered from the unwelcome attentions of the security services that were to lead to him having to leave the world of electronic espionage and eventually the RAF. This book is available from Amazon either as an eBook or in Paperback and from Smashwords as a eBook. Copy and paste these links into your browser for more information. My first book published on Amazon and Smashwords. See next page for reviews.